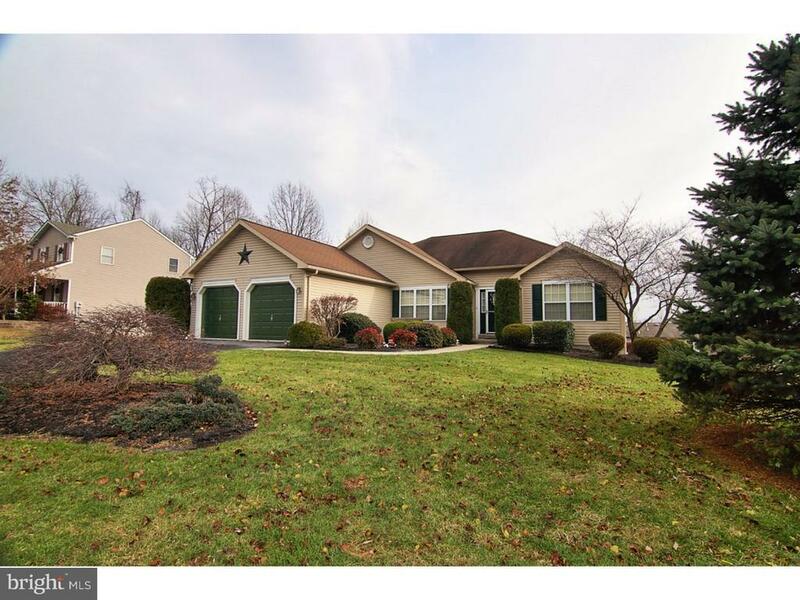 Absolutely Immaculate Rancher in Amity Township! You are going to be impressed with the quality and condition of this home. Awesome layout with generous room sizes that are perfect for entertaining or for someone looking for that coveted "one floor living" with out trading in the space of a traditional two story. Features include a great room with a gas fireplace, eat in kitchen with a breakfast room with sliders to a fabulous deck with a view that will knock your socks off!! In addition, you will find a large master suite with a master bath that features a soaking tub, shower stall, walk in closet, and a large linen closet. There are two additional bedrooms and a hall bath, a partially finished walk out, daylight basement with a large storage area. Also included is an oversized two car garage. This home is a true must see! !